Vivienne Westwood Anglomania 'Mags Shorts''. 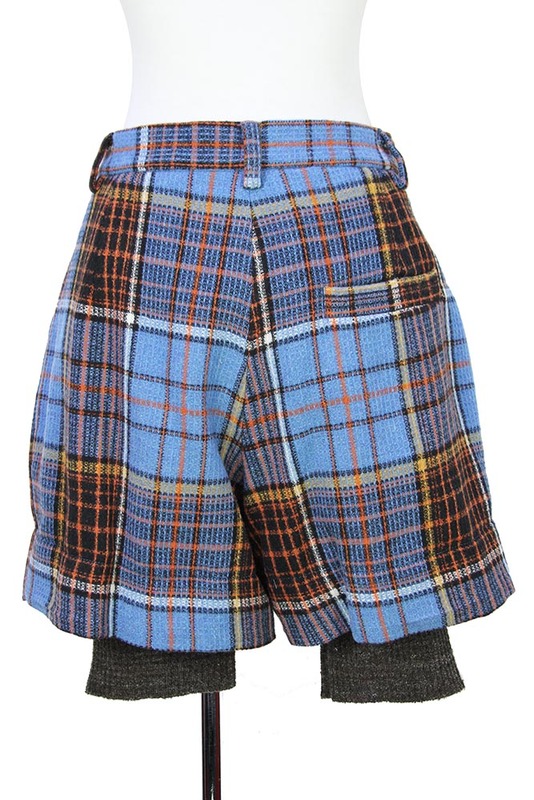 Shorts in blue tartan, wonderful! Single button and zip fastening at waist. 2 pleats at front and 2 angled pockets. Single, left-side pocket at rear. At the bottom of each leg, extending from within the leg there is a rib knitted cuff. Fully lined. Fabulous garment! !